Scuba Diving Certification in Portland, Vancouver, and the PNW: Not from around the Pacific Northwest? Want to try out some of the best cold water diving in the world? Not from around the Pacific Northwest? Want to try out some of the best cold water diving in the world? 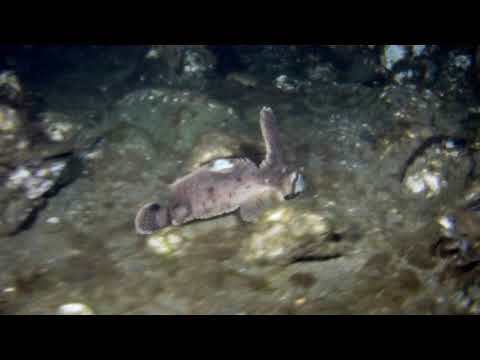 Do you love diving in the Puget Sound and would like a tour of my favorite dive site? Join me at Sunrise Motel & Dive Resort in Hoodsport, Washington and I'll take you to see Moon Snails, Anemones, Crabs, Sea Pens, Prawns, Feather Dusters, Jellyfish, Starfish, wrecks, a tire reef, fish habitats and a diverse group of fish including: Rockfish, Ling Cod, Pipefish, Perch, Painted Greenling, and Sailfin Sculpin! If you we're really lucky, maybe we'll see a Giant Pacific Octopus, Dogfish, or a Six-Gill Shark...!!! Shore entries are super easy here and we can average 25ft to 45ft in the shallows with a couple wrecks at 85ft to 95ft. For those adventurous divers with a Deep Diver certification, access up to 130ft is doable and Technical Divers can join me up to 150ft with Advanced Nitrox and Decompression Procedures. Come visit and I'll take you on a tour!